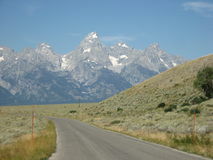 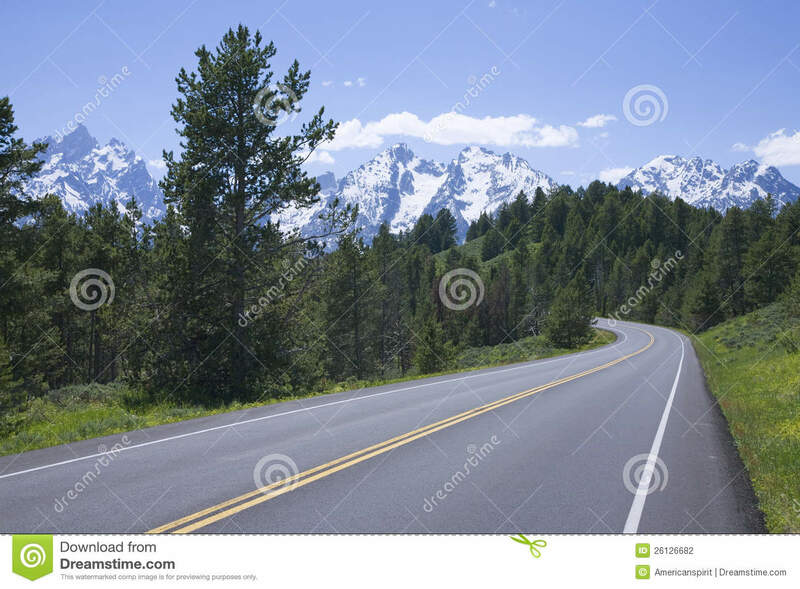 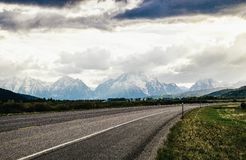 Roadway to Grand Teton, Wyoming. 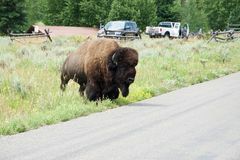 Road to the Tetons, Teton National Park, Wyoming A Bison crossing the road at Grand Teton National Park. 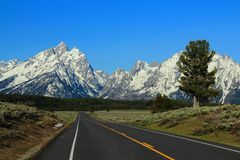 Big Bend National Park - Sunset Road to the Tetons Road to the Rocky Mountains in Morning Light, Grand Teton National Park, Wyoming Grand Teton - Road JACKSON HOLE, WYOMING/USA - OCTOBER 1 : US National Parks closure sign at entrance to the Grand Tetons National Park in Wyoming o Grand Loop road next to bend in the Yellowstone river in the Hayden valley in Yellowstone National Park in Wyoming Road trip to Grand Tetones.